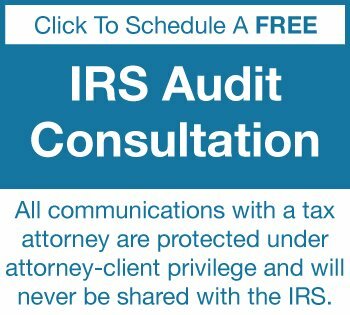 At the conclusion of the IRS audit, you will receive communication from the IRS regarding the auditor’s findings. Depending on the audit’s findings and how you wish to proceed, you have several options. One option to pursue at the end of an audit if you disagree with the IRS audit findings is Fast Track Settlement. Fast Track Settlement is a relatively new IRS program which is designed to allow taxpayers and the IRS settle their disputes in an expedited manner. In Fast Track Settlement, the IRS assigns an Appeals officer to act as a mediator in the dispute with the taxpayer. If you are unable to settle your case using Fast Track Settlement, you may still pursue an appeal subsequently. If you disagree with the IRS findings at the conclusion of an audit, then you have the opportunity to appeal the decision. At the conclusion of the audit, the taxpayer will receive an official decision from the IRS. The taxpayer has the opportunity to appeal the IRS’s decision within 30 days of receiving the official determination. If the taxpayer chooses to appeal, an IRS appeals Officer is assigned to the case and further negotiations take place. The first step in the appeals process requires the taxpayer to file a notice of appeal within 30 days of receiving the IRS audit decision letter. For this reason, the letter you receive from the IRS is known as the “30-Day Letter.” If you miss the 30 day deadline, you may still be able to appeal the audit, but it is much more difficult and your request for an appeal might not be granted. If you do appeal, your appeal must include sufficient supporting documentation, evidence, facts and legal analysis as to why you believe you should receive a different result at the end of the appeal. The 90-day letter is known as a statutory notice of deficiency. It is also sometimes called a taxpayer’s “ticket to Tax Court” because it is often a precursor to the taxpayer filing a petition with the Tax Court and commencing tax litigation. The IRS issues a 90-day letter to inform the taxpayer that he or she has a certain amount of time to pay the tax assessed upon him or her by the IRS. You will receive this letter if you owe additional tax or other amounts for the tax year(s) listed in the letter. It is sent at the end of the IRS audit, and after the IRS concludes that the taxpayer owes more money in taxes. You also can receive this letter if you missed the deadline to appeal the IRS’s original determination as contained in the 30-day letter. Finally, you may receive this letter after you have already pursued the tax appeals process, but still disagree with the determination from the IRS Office of Appeals. The letter explains how to dispute the adjustments if you do not agree. What are the Options for Responding to a 90-Day Letter? Of course you can respond by paying the amount owed in either a lump sum or by negotiating a payment plan. However, if you do not agree with the assessment, then within 90 days of receiving the statutory notice of deficiency, you have the right to file a petition for tax litigation in the tax court. A petition can be filed in Tax Court only if you have received this letter. If you pursue this course of action, then the IRS cannot assess the deficiency against you. However, you may decide to pay the deficiency to stop the running of interest while the tax litigation proceeds. If you elect to pay the deficiency while the tax litigation proceeds, then you can file a claim for a refund at the conclusion of the tax court case. If the taxpayer elects to appeal the decision at the end of the IRS audit, the taxpayer will be required to appear before an appeals hearing. The hearing takes place approximately 60 days after filing the appeal. The hearing gives the taxpayer the opportunity to present his or her case to the IRS, complete with all supporting documentation, receipts, statements, and other forms. At the appeals stage, the Appeals Officer takes a fresh look at the documentation and evidence, and taxpayers are often able to settle their disagreements with the IRS through this process. If the IRS and the taxpayer reach an agreement, the IRS will issue a Form 870, or Consent to Proposed Tax Adjustment to be signed and returned by the taxpayer. If you disagree with the IRS findings at the conclusion of your audit, then you may consider tax litigation. Tax litigation generally occurs once a taxpayer has exhausted the appeals process with unsatisfactory results, or missed the deadline to appeal. You can only file a petition in Tax Court if you have received a Notice of Deficiency, or 90-Day Letter, from the IRS. Many cases actually settle before the commencement of a trial. However, if your case does go to trial, it will generally be heard in front of a judge rather than a jury. During the trial, the IRS will be represented by an IRS District Counsel. Each side will present its case; as with any other trial, the IRS District Counsel can present its own witnesses and evidence and cross-examine the taxpayer’s witnesses. At the conclusion of the trial, the judge enters a decision stating the amount of the deficiency owed by the taxpayer, as well as any penalties and interest. As a taxpayer, you have several options for how to proceed if you disagree with the IRS audit findings. A knowledgeable and experienced tax attorney can help you decide which path will result in the best outcome for your situation. In any interaction with an appeals officer or tax court, presenting your records and documentation in the most organized fashion can have a significant impact on the ultimate resolution of the dispute. A knowledgeable tax attorney understands the process of appealing an audit or taking a case to tax court, and can employ the necessary strategy to obtain a favorable result. The Tax Lawyer William D Hartsock has been helping clients who disagree with the outcome of their IRS audits since the early 1980s. Mr. Hartsock offers free consultations with the full benefit and protections of attorney client privilege to help people clearly understand their situation and options based on the circumstances of their case. 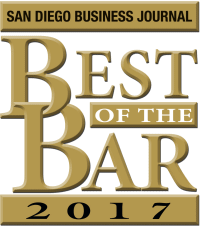 To schedule your free consultation simply fill out the contact form found on this page, or call (858)481-4844.